Horseshoes from Werkman are renowned for their creases and nail holes. Their perfect design and precision production ensure a perfect fit. These advantages can be seen in practice: shoeing with Werkman shoes goes quickly and securely, and their life span is long. 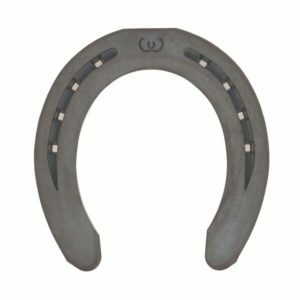 What’s more, Werkman horseshoes are carefully finished to provide a beautiful, well-groomed look - an important advantage in today’s equestrian events. In many cases, farriers who work with Werkman products have been doing so for years. The reason is simple: in Werkman horseshoes, they recognize top quality that fits the requirements of their craft.